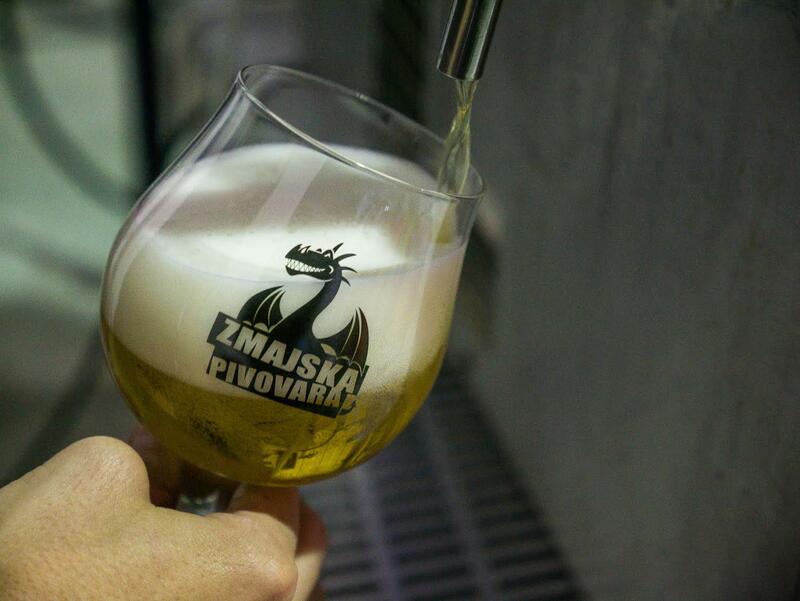 Zagreb has experienced a true beer revolution in the last 4 years. One could not define the exact moment this happened, but it is obvious that more microbreweries are emerging in Zagreb than ever before. What is truly fascinating about this trend is that most of the products are really tasty and interesting to drink. 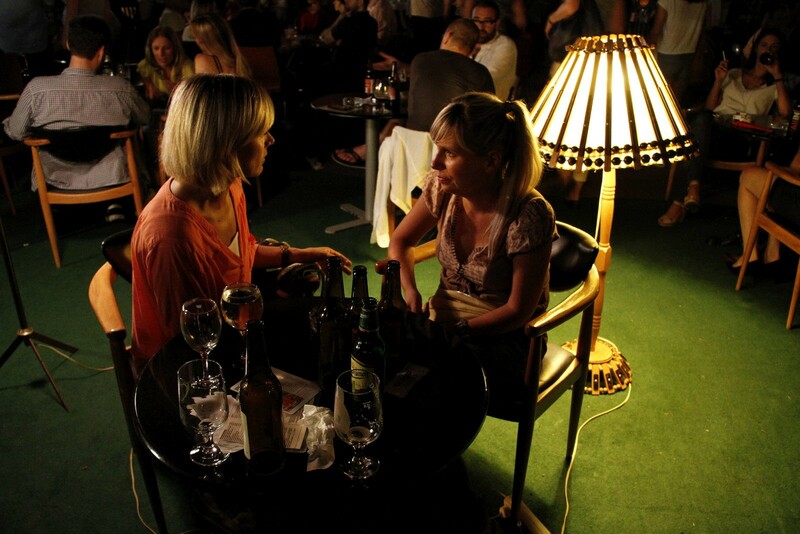 Zagreb has seen a lot of trends come and go, but craft beer, it seems, is here to stay. The first brewery in Zagreb was opened by Franjo Tobias Hosz in 1740 in the very center of the town. It was privately owned and had a small capacity even for those days. The brewery was operational for a few decades until it was sold off to the city municipality. The City relocated the brewery a few times until it finally settled in 1893 in Ilica 224 where it still stands today. It was a huge project involving a big investment from the City to produce genuine beer made in Zagreb according to the standards of the industry set by German and Czech brewers. From then beer in Zagreb was as common as water. A long time will pass until someone gathers the funds and the knowledge to create a small brewery and starts producing beer for an acquired taste. That happened in 1994, when a family owned brewery and pub Medvedgrad was opened on Savska street. They took upon themselves to create the first Beer Lovers Club and started shifting the mindset of beer lovers toward a ‘less industrial’ beer taste. At the time they were creating 3 kinds of beer, Zlatni Medvjed a golden pilsner and Mrki Medvjed and Crna Kraljica, two kinds of dark lager beer. This point marked the birth of craft beer brewing in Zagreb. Not fully seasoned and without an official name, but it was production of small batches of beer treated the way a craftsman would treat its creation. For a while Medvedgrad was the only brewery of its kind in Zagreb, but when Croatia entered the European Community, lots of doors previously closed have started opening up. As it turns out it was a favourable environment for craft brewers like Andrej Capka, owner and chief brewer at Zmajska Pivovara. ‘We are focusing to create a tasty, drinkable, high quality product’ is the main orientation of this programmer turned master brewer. Situated in the centre of Zagreb this small craft brewery was an instant hit once it hit the Croatian market. Their Zmajsko Pale Ale beer had a different taste than what Croatian beers usually taste like, but the fruity bitterness and a texture of fullness ensured a steady rise in sales and a decent growth pace. They also produce a dark Zmajska Porter that enjoys less popularity among the drinkers but Andrej loves it as much as the Pale Ale. 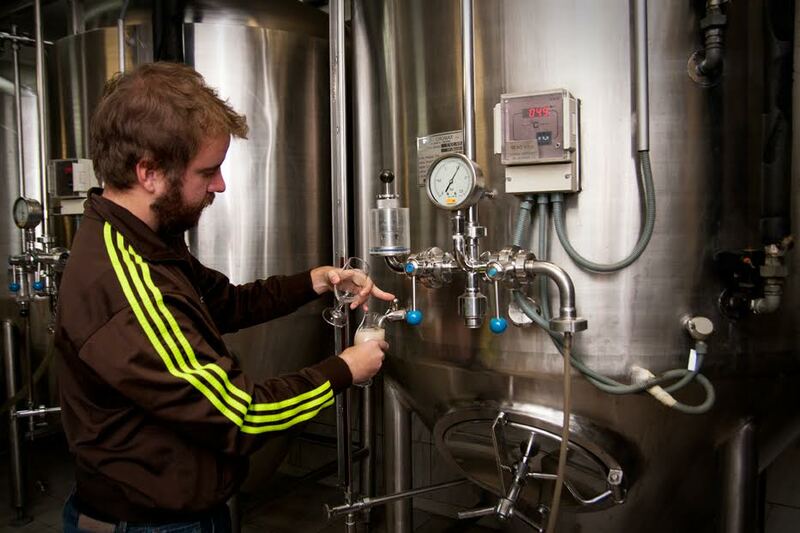 When asked to compare between himself to the big players off industrial brewing, Andrej says it is uncomperable. ‘Our yearly capacity is less than a third of what they produce in a day, but our idea is to produce a high quality product that is enjoyed by an acquired taste’. 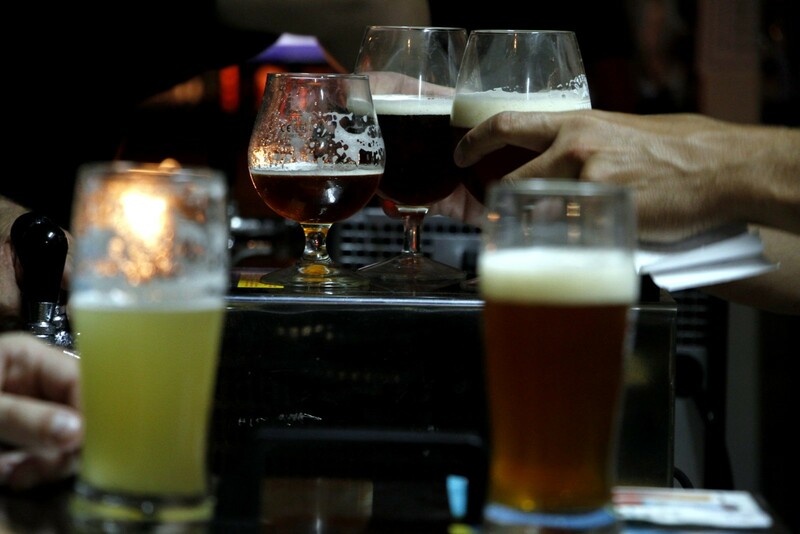 When discussing about the rising popularity of craft beers in Croatia this brewer believes that the craft beer segment of the market is less than 0.1 percent, and that in time it has a huge potential for growth. Another craft beer being produced in Zagreb is Varionica, made by Matija Mrazek and Davor Simicic, two ex-homebrewers with a very similar story as Andrej Capka’s. 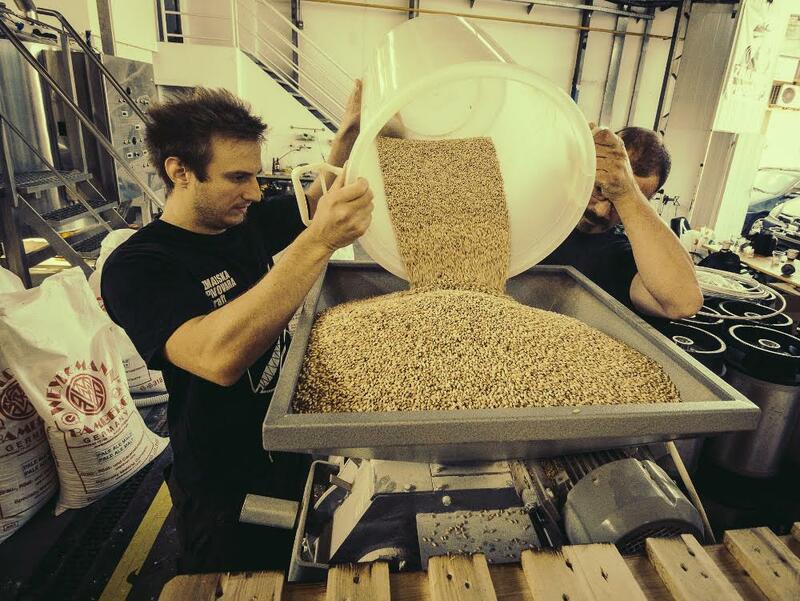 ‘We started at home, brewing small batches for ourselves and our friends. As we progressed many people came and left, and we met a lot of people through forums on the net who shared their experiences with us. Once we brewed a decent product the idea came to create a business model that will have us producing beer and living off it’. When asked why ‘Ale’ beer, both producers respond fairly quickly: ‘Because we like it better’. Every native Croatian will tell You that we drink lager or pilsner beer, but it is only because we have all been taught to produce beer by Czech or German brewers that mostly focus on lagers. Ale’s and Porter’s have always been more popular in Belgium or England and until the birth of small craft breweries that remained the case. This tradition of lagers is one of the reasons they order most of their raw products from the Americas or even further. ‘European producers of hops and barley are focused on European styles of beer, if You want diversity You have to look further’ say the craftsmen. Every lager beer I try is kind of similar, as opposed to the three different Ale’s you can try in Zagreb and they are all produced in Zagreb. So the diversity is not only in the craftsman producing the beer but the raw materials as well. It is also the reason why the Croatian craftsman have to import their raw input, because they cannot achieve the level of quality and diversity with locally made barley and hops. The third Ale being produced in Zagreb is Nova Runda and the only difference between the two is the taste and the owners. It is very interesting to see three groups of similar people basically doing the same thing but getting different results. Not positive or negative, but different and definitely interesting to drink. Zmajska gives You a bitter fruity kick that You can enjoy slowly, Varionica is a bit pale, mild in taste but refreshing as hell, and Nova Runda is an all day beer, milder in taste than Zmajska but still packs a bigger punch than Varionica. In any case all three are superb, refreshing and interesting. What is most important they are produced in small batches by craftsmen who produce it the way they would want to drink it. The saying does say that good thing come in small packages. Every passionate beer lover dreams of having a fridge filled with beers for every occasion. That dream is slowly becoming a reality for the locals. It finally seems you don’t have to live in Brussels or Munich to have an acquired taste for beer , as it turns out Zagreb will do just fine.